Get on the map for citywide garage sales by calling the Chamber office, 537-3505. Dream Big, Dream Like a Champion! 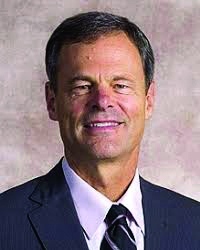 John Cook is entering his 19th season as Nebraska’s Head Volleyball Coach. During his tenure at the University of Nebraska, he has led the Huskers to four National Championships, has twice been named the AVCA National Coach of the Year, is a six-time Conference Coach of the Year and is the fifth­ winning-est coach in NCAA history. In 2017, John was inducted into the American Volleyball Coaches Association Hall of Fame!